As the number of cyclists in New York grows each year, more and more bike shops have popped up around the city to meet demand. 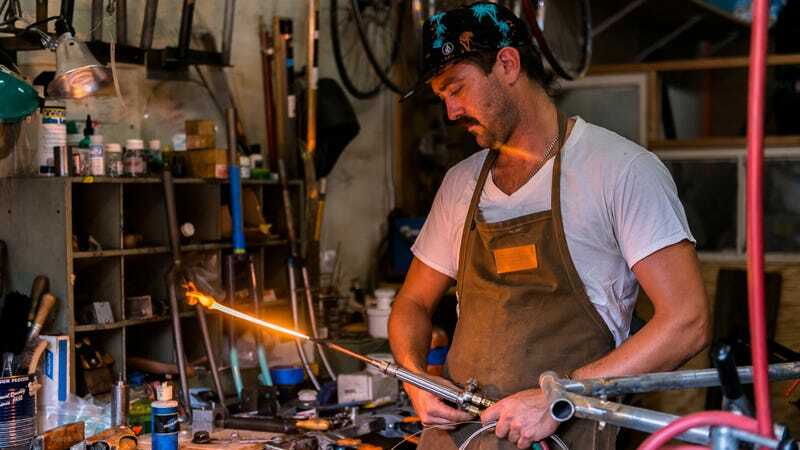 A growing group of them specialize in entirely handmade, custom bike frames—like six-year-old Horse Cycles, a custom steel frame workshop in Brooklyn. This week Horse's founder, Thomas Callahan, gave me a tour of his incredible workshop and some insight about Horse and where it's going. Horse Cycles has no signage on the street—other than its discretely printed logo on the glass pane of a rusted workshop door. Inside is a cyclist's mecca, and Callahan's workplace for the past two and a half years. Horse builds two kinds of bikes: handmade track or road bike frames and the recently Kickstarted stock frame, Urban Tour (which will be on display at the Bike Cult Show later this month). The custom process is completely dependent on the customer—it's the bike world's equivalent of haute couture. You either can pick something "right off the table," as Tom says, or come in with a vision and get measured, pick colors, and create something truly unique. 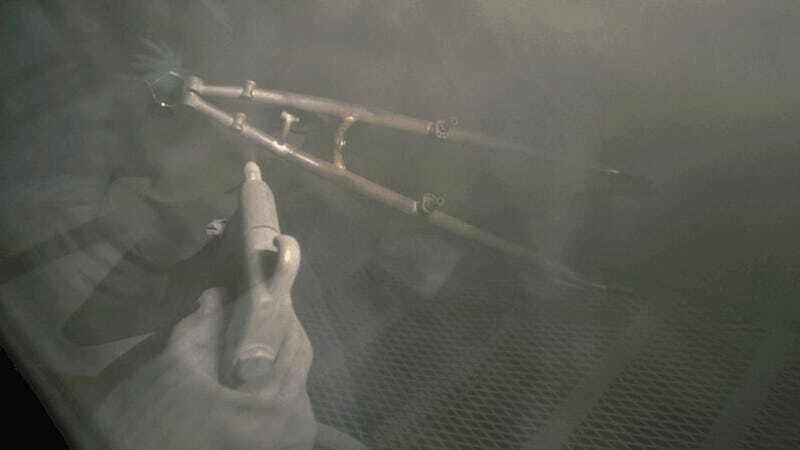 Horse's stock frames run at $1200, while the custom work can range anywhere from $1900-2500 for frame and fork. It all depends on what you want done. How did Horse emerge? Tom is from Portland, unsurprisingly, where his love for cycling and interest for building frames all got started. "It's the most amazing method of transportation, especially in an urban environment. All the places you miss from point A to point B underground," Tom says. "It's good for your body and it's good for your mind. To ride something that you've created is totally rad." Tom is completely self-taught, and now builds about 20 custom frames a year, each of which takes about two weeks to complete. Since he started building frames, he's never not had a list of orders to complete. So what does he ride? The first bike he built—an almost seven-year-old track bike. But he's looking forward to finally completing his personal Urban Touring bike to take on a few long-awaited trips. For Tom, the Urban Tour Kickstarter was a way to collaborate with other independent companies. The project—which exceeded its goal by almost $20,000 in April—will reward backers with handmade goods from eight other local companies, ranging from hats by Vancouver cycling company HMPL to coffee from Portland's Tandem Roasters. Plus the bike itself—a locally-built, beautifully-constructed frame that almost every cyclist can relate to. Now that he has the ball rolling with the Urban Tour project, Tom's long-term goal is to become a positive cycling force in the community. Check out Horse's site here, or stop by to check our the Tour at the Bike Cult Show next month.